A fun and inspirational day including keynote speech, workshops, exhibitors, refreshments, and a hot lunch. This year’s conference is set to be an invaluable event for childminders as well as colleagues from all types of childcare settings. The recent publication of the ‘Bercow 10 Years On’ report carried out by I Can and the Royal College of Speech & Language Therapists states that ‘Children's communication needs are as important as the fight against obesity’. It found that the provision of support is still a postcode lottery, there are gaps in funding and providers are still not working together effectively. It’s timely then that our conference this year is all about communication development. Join us and find out what childminders can do to address some of the key concerns. We would love to welcome you for a fun and inspirational day. After last year’s conference we asked the childminders what they thought: 100% of them said they would recommend it to others! Neil Griffiths was a Primary School headteacher for 13 years before taking on the role of director of a National Literacy Support Project for the Basic Skills Agency. He came up with and developed Storysacks, promoting them to schools and communities throughout the UK. Many publishers and institutions have asked Neil to contribute his wealth of experience to their projects over the years. He has created award-winning play resources, written a nursery curriculum, a best-selling resource book on creative play, and imaginative material for the Early Learning Centre. Neil also finds time to write his own children’s picture books. 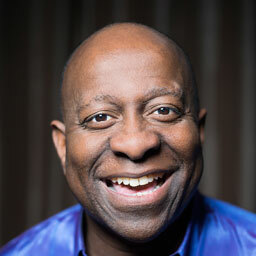 We’re delighted to welcome Dave Benson Phillips who will be entertaining us all as our keynote speaker this year, his theme will be Communication Development in the Early Years. 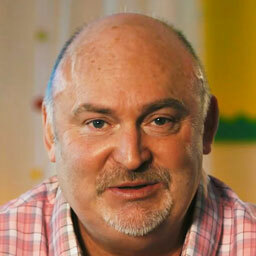 Dave is well known as an entertainer and children’s TV presenter whose Makaton Nursery Rhyme videos are hugely popular. His big break into television came when he has working at Haven Holidays as a Children’s Uncle. He was spotted by the BBC and given the chance to appear in Playbus, which later became Playdays. This led to Dave being given his own BAFTA nominated BBC show Get Your Own Back followed by Disney’s Wake Up in The Wild Room on ITV. Throughout his hectic schedule Dave has always found time for children with special needs and donates many hours to charity work both here and abroad. This fully interactive workshop includes a wonderful mix of original movement ideas using songs, chants, stories and dough dancing to support language and communication. Be prepared to have your creative taste buds upgraded and we will empower you to create your own activities using your favourite songs. Delegates will take away many ideas on how to develop your practice to support children in the prime areas of EYFS through music and movement. Wonderfully creative props and teaching aids will be used to enhance this physical development experience. Warning: Be prepared to have fun! 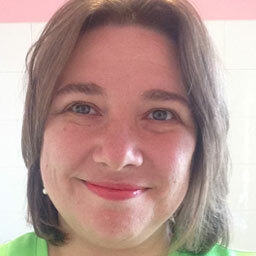 Kim is Director & Founder of Midlands based Kimble's Music & Movement and Funky Feet music. For over 14 years they have been developing their own music, working alongside teachers in schools, nurseries, SureStart Centres and adult learning courses, the aim is to enhance and expand children's enjoyment of the world around them through multi-sensory music & movement experiences. These experiences develop skills which help children fulfil their potential. Since the songs and activities cover all the bases for essential learning and are fun and easy to use. Children just love it and so do the grownups. “We make learning fun!”. This workshop will include a challenging overview of aspects of The Communication Friendly Spaces™ Approach. Input will illustrate the theory with lots imagery, case studies and examples of impact, to demonstrate how the principles underpinning the approach have been used in practice. Images will be bespoke to reflect home based setting. The workshop will also include a practical element and opportunities for discussion and questions. environments for children are viewed. 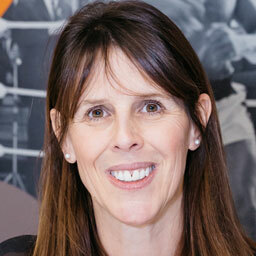 She developed many Early Years Programmes for the Department for Education, UK. Elizabeth worked as lead UK consultant with UNESCO advising on the development of European Family Learning schemes. She is currently developing various learning environment projects in the UK, Jordan, Malaysia and Thailand. See www.elizabethjarmantraining.co.uk for more information. The workshop will address the key principles of the Montessori approach and will explain how Montessori settings meet the requirements of the EYFS. It will focus on both prime and specific areas of learning in relation of Communication and Language & Literacy and will provide opportunities to explore some of the activities and materials used by Montessori settings to support young children in their learning and development these areas. Over the past thirty years Barbara trained and supported training of Montessori Teachers in her capacity of lecturer and academic director of Montessori Centre International. In her current role of Chief Education Officer at the Montessori St. Nicholas Charity, she is involved with course development and promotion of Montessori education with the UK and internationally. For 15 years Barbara owned and managed a Montessori nursery in Oxfordshire. Barbara is committed to bringing Montessori education to children of the 21st Century whilst standing by the key principles of Montessori pedagogy. 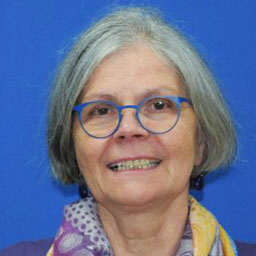 Barbara represents the Montessori Community on Early Childhood Forum and is a regular contributor to Montessori International Magazine and Teach Early Years. Her first book “Bringing Montessori into your Practice”, first published in April 2007, examines the impact of the EYFS on the Montessori education in England today. In the spring of 2008 Barbara worked with the National Strategies on publication of The Guide to the Early Years Foundation Stage in Montessori Settings funded by the Department for Children, Schools and Families. Second edition of her second book “Understanding the Montessori Approach” was published in March 2018. This workshop will be using movement, balance and play to build readiness for communication, with the focus being practical understanding of the brain development behind listening and language processing, and the play experiences that develop them, with the particular importance of gross motor play. Ellie has a B.Ed (Hons) in Lower Primary Education (3-7 years) and a M.Ed in Profound and Multiple Learning Difficulties, both from Birmingham University School of Education. 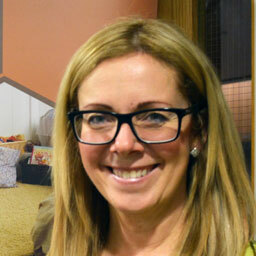 Her first seven years of teaching experience were spent within special schools, working with children with a range of severe to profound learning difficulties working within the earliest stages of development, including specialist teaching approaches for children with multi sensory impairment and setting up and running a class for children with Autistic Spectrum Disorder and Severe Learning Difficulties. She spent the next nine years working as a county advisory teacher in Northamptonshire for early years SEN with families and a wide range of schools and early years settings, including providing training, consultation and advice, assessment and joint work with the community health teams, and the Northampton Child Development Centre. As an Independent Consultant she is continuing to enthusiastically develop my knowledge and training in how difficulties in the early stages of development can affect learning and achievement long term, and what strategies best enable children to regain this vital ground. Until 31 August. Then £75. All tickets include morning and afternoon workshop, refreshments and a hot lunch. Ticket added to your basket. If you wish to only attend the Annual General Meeting please contact us. There will be no charge and no lunch/refreshments provided. We are committed to equal opportunities. Please let us know if you have any special dietary requirements or require additional support to help you fully access this event. Why not spoil yourself and stay over? The hotel has a pool and spa and we have negotiated a special group rate of £78 (£88 for double occupancy) for rooms.